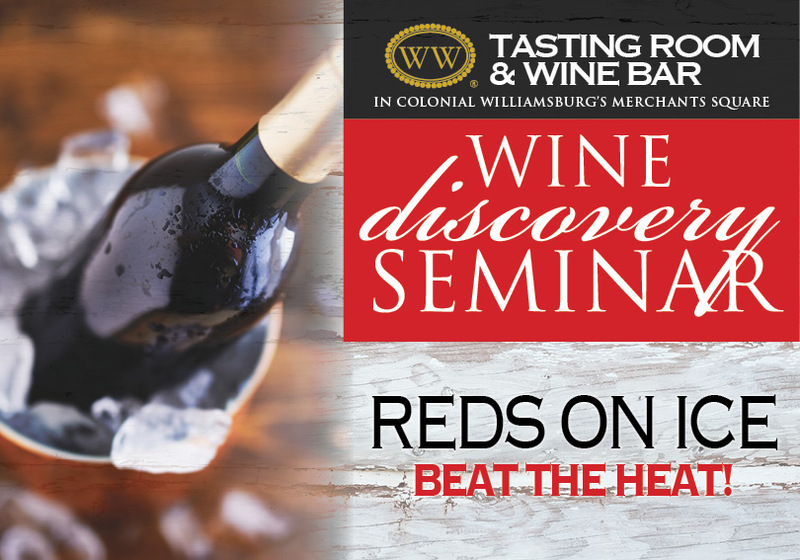 Join us on Thursday, June 13th at 6 PM at the Williamsburg Winery Tasting Room and Wine Bar in Merchant's Square for an evening of wine education and exploration. This month's seminar will lower tannin or lower alcohol reds that can be enjoyed during the dog days of Summer. Several small bites will accompany this tasting.